Enjoy everyone this one is a no brainer and fun to make!!! Rnd 15: Sc in 1st and each st around, fasten off and weave in ends. 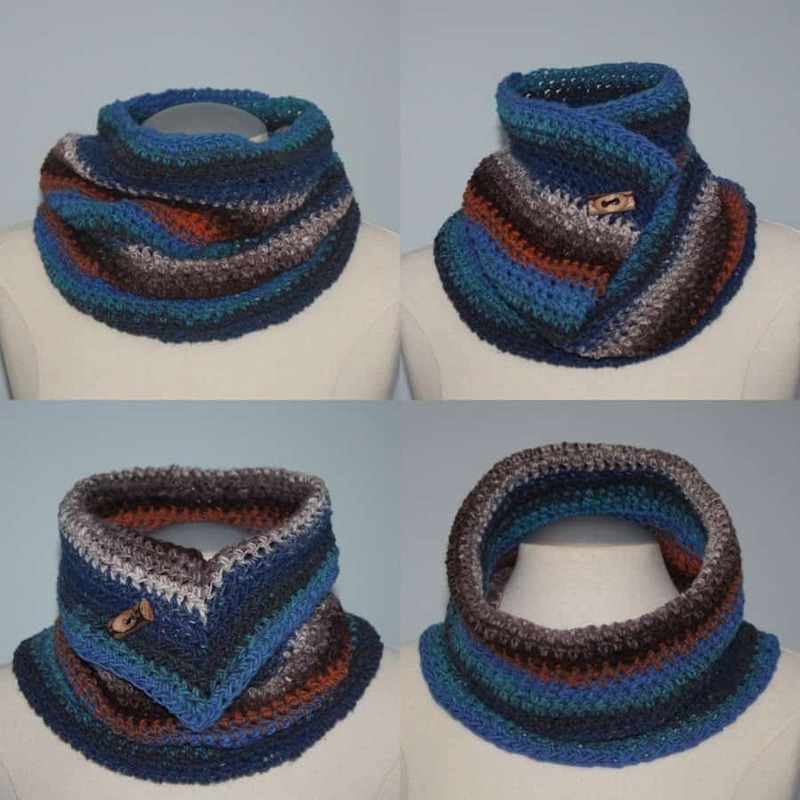 Love this cowl and the different ways it can be worn. I see a toggle-type button in the pictures. Is there anything we need to know about placement of the button? 1 Thanks! I love Freebies! Is this made with worsted weight?